Easter Candy Deals | Best Sales & Cheap Deals on Easter Candy! Home / In-Store Deals / Online Deals / Easter Candy Deals! Awesome Deals $1 and Under! Easter Candy Deals! Awesome Deals $1 and Under! It’s time to start stocking up on sweet treats for Easter! I will have all of the best Easter Candy Deals! You can use your candy coupons to pick up super cheap candy for your Easter Baskets & more! You can always check to see if there are any coupons for candy on our Printable Coupons page. You may also find stacking rebates at Checkout 51 or Ibotta and I love using them to stack with coupons and rewards offers at drugstores and gift card deals at Target. We have new Candy Coupons available to print! Get stocked up for Easter with these Mars & Wrigley Theater Box Candy for just $0.50 each at Walmart or Target! Walmart and Target both carry a variety of the 3 oz Mars or Wrigley Easter Candy Theater Boxes for $1 each regular price. Buy 2 boxes and use the $1.00/2 Mars Wrigley Confectionary Easter Products (3 oz – 46.2 oz) printable paying $1 out of pocket. That is only $0.50 per box!! We have new Tic Tac Coupons for you to print!! Perfect time to grab for those Easter Baskets! You’ll pay just $0.50 per pack at Target! Target has the 1 oz packs of Limited Edition Easter Tic Tac Mints priced at $1 each. Buy 1 pack and use this $0.50/1 Tic Tac Gum or Tic Tac Mints printable paying $0.50 out of pocket. We have a new Kinder JOY Eggs Coupons for you to print! You can stack this coupon with your Ibotta App to pick up candy for just $0.66 each this week at Target! Target carries the 0.7 oz Kinder JOY Eggs for $1.49 each regular price. Buy 3 and use this $1.00/1 Kinder JOY Eggs; Includes (1) 3 pk or (3) singles only printable paying $3.47 out of pocket. You can redeem 3 of these $0.50/1 Kinder Joy – Ibotta Rebate; Includes 0.7 oz Only; Limit 5 (exp 4/26/19) making it $1.97 for all or just $0.66 each! 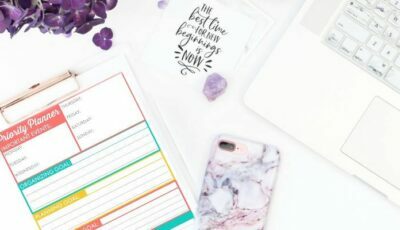 The coupon expires on 4/24/19 so you have until then to grab this deal! $0.66 ea wyb 3 after coupon and rebates! We have a new Nestle Candy Coupon for you to print!! You can stack this Candy Coupon and Cartwheel Offer to grab bags of candy for just $1.84 at Target!! Great for Easter Baskets! Target carries the Nestle Fun Size Bagged Candy for $3.79 each regular price. Through 4/13/19, buy 1 bag and use this 25% off 100 Grand, Crunch and Baby Ruth Fun Size Bags Target Cartwheel Offer plus this $1.00/1 Butterfinger, Crunch, Baby Ruth, 100 Grand Fun Size and Mini’s printable paying $1.84 out of pocket. $1.84 after cartwheel & coupon! 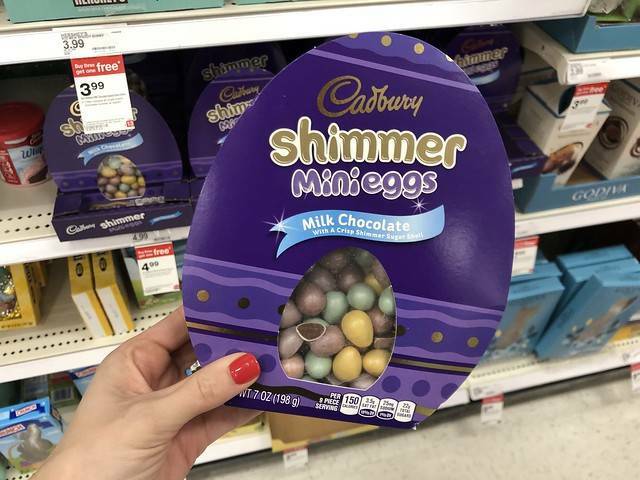 Through 4/13/19 Target has the 7 oz Cadbury Shimmer Egg Boxes on sale for $4.99 ea plus buy 3, get 1 free. Buy 4 boxes and use this 50% off Cadbury Shimmer Egg Box 7 oz Target Cartwheel Offer (exp 4/20/19) paying $7.49 out of pocket. That is only $1.87 per box!! $1.87 ea wyb 4 after cartwheel! The Palmer Easter Patch Pete Chocolate Bunny 3 oz are on sale for $1 plus buy 3, get 1 free! Buy 4 and pay $3 out of pocket making them just $0.75 each! $0.75 ea wyb 4 after sale! The Russel Stover Milk Chocolate Rabbits are on sale for $1 each plus buy 3, get 1 free! Buy 4 and pay $3 out of pocket making them just $0.75 each! While shopping I spotted so many great deals on Easter Candy for just $1 regular price!! No Coupons needed and you can pick up so many Easter Candy Deals for your baskets on the cheap!! Here are are a few I spotted…..
That is only $0.20 per pack!!! Through 4/13/19 Walgreens has the 8-11.4 oz bags of Easter M&M’s on sale for 2/$5. Buy 2 bags and use 2 of the $1.00/1 M&M’s Chocolate Candies coupons from 3-10-19 RMN Insert or this $1.00/2 Mars Wrigley Confectionary Easter Products (3 oz – 46.2 oz) printable PLUS this $1.00/2 M&M’s Easter Candy Walgreens April Coupon Book paying as low as $2 out of pocket. That is only $1 per bag! Check back for even more Easter Candy Deals going on! Speedway Coupons & Deals | FREE 22 oz Beverage!! Yoplait Go-Gurt Dunkers Just $1.99 at Target!